First introduced by German auto-manufacturer Volkswagen in 1938, the Beetle [a.k.a. "bug"] has since become - at least in the United States - an icon for 1960s beach and surf culture. It's sleek, simple design and, most importantly, its affordability made it a hit with the middle-class '60s youth generation in the U.S. An economic boom during the 1960s in the U.S. allowed for many teenagers to own their own automobile - a luxury virtually unknown to previous generations. You can guess what those teenagers wanted. They wanted bugs. Fifty years later, the Volkswagen Beetle is just as groovy as it's always been, and LEGO certainly thinks so too. LEGO has now given us two Beetle models in less than ten years. 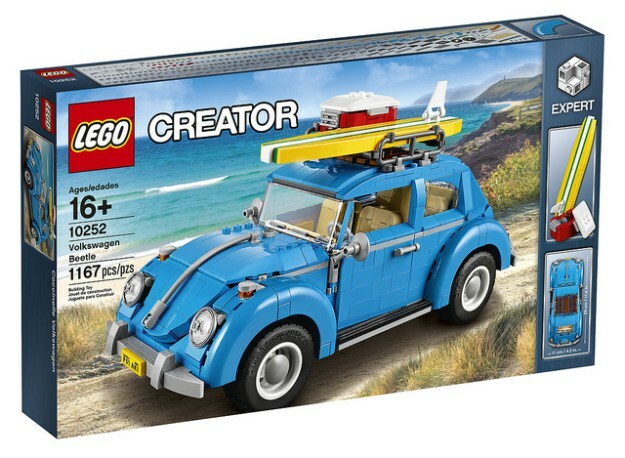 Unfortunately, LEGO's previous attempt to provide us with a VW Beetle set was, in my opinion, far from groovy [why two colors of blue!]. 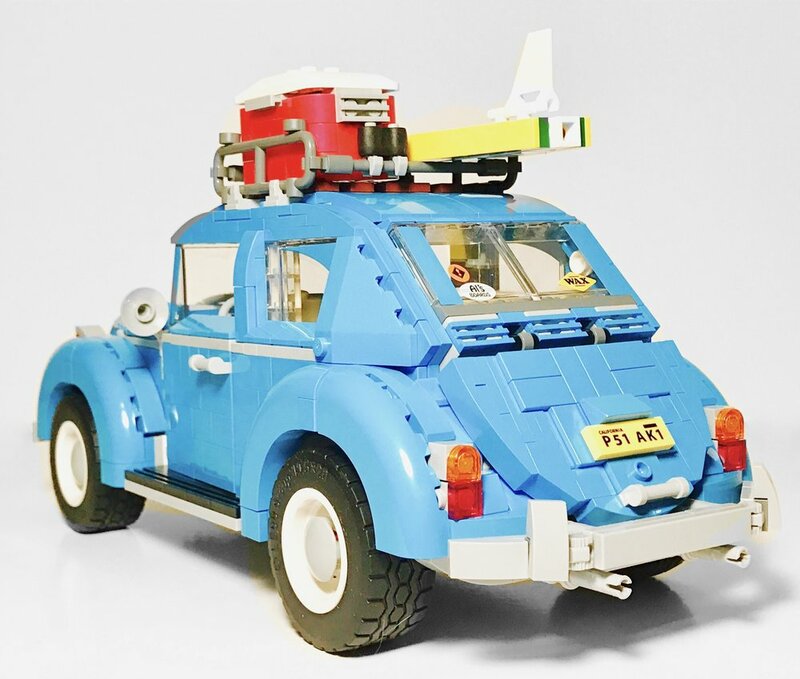 Luckily, thanks to this 2016 updated and revamped version of the LEGO Beetle, LEGO Beetles have another shot at matching the groovy, iconic, beach-boy-song-inducing visual that is the classic 1960s Volkswagen Beetle. So, the question is - are LEGO Beetles finally groovy too? First of all, the Volkswagen Beetle is a Creator Expert offering. Expert is a label given to Creator sets which involve building techniques which are a bit more complex than your average non-expert LEGO system set, so it's safe to assume heading into the build that a number of inventive, complex, and enlightening building techniques are likely to be used during the construction of the set. This is certainly the case with the Beetle model. You can think of the model as a foundation with many mini-builds attached to it. Once completed, these compiled mini-builds end up looking like a Beetle. As a result, it's an incredibly satisfying and remarkable build. Each section of the Beetle is built as a separate one-piece build and then attached to the model using various hinging methods. 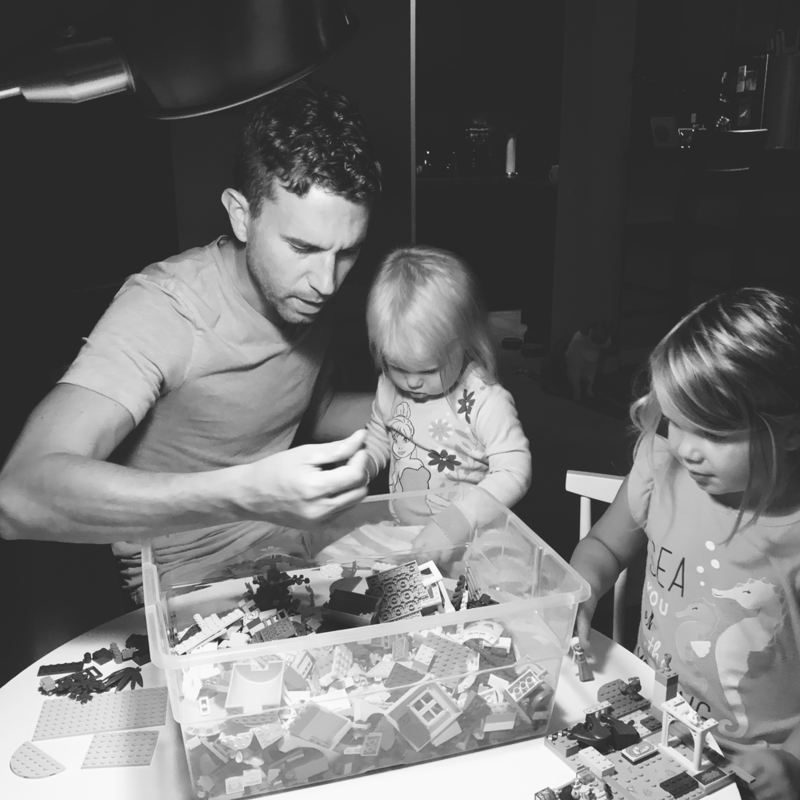 This leaves you with a child-like sense of excitement during the construction of each one-piece build because you're not entirely sure which piece of the model you're constructing or how it will even attach to the model once it's complete. If you're looking for some new, inspiring construction techniques, you'll certainly enjoy this set. Perhaps the most striking element of this model is how it successfully incorporates something that is very hard to do with LEGO - curves. The design of the actual Volkswagen Beetle is extremely curvy. The entire vehicle curves from front to back, and the width of the vehicle's body curves slightly outward from front to back as well. This makes building the car with LEGO extremely challenging - as is evident by the struggle LEGO had with their very-blocky Beetle model from 2008. 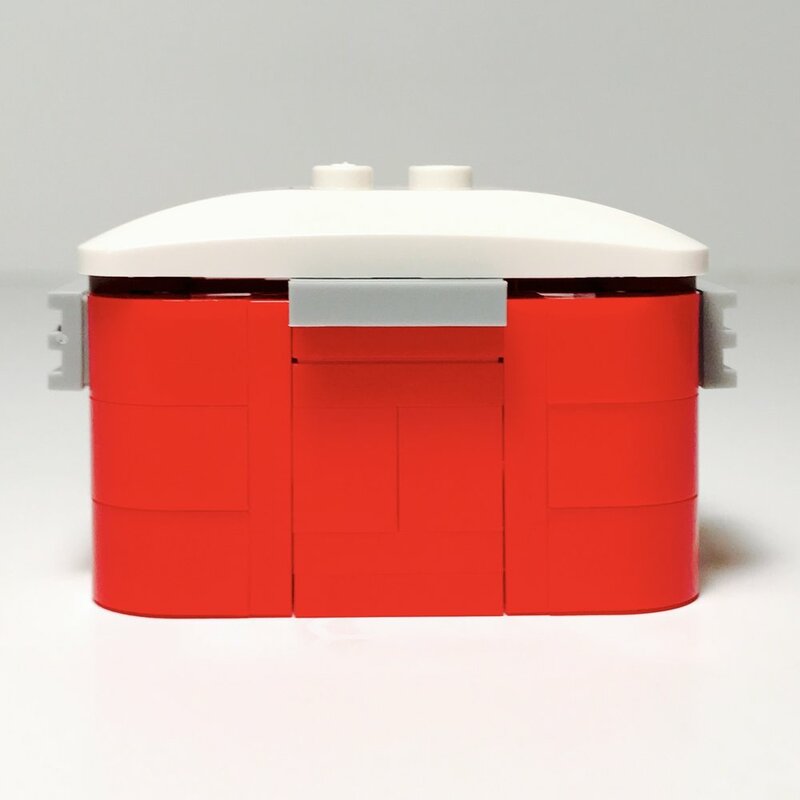 The LEGO designer for the 2016 model had some help achieving these curves in the form of a brand new piece - the 1/4 Arch Brick 5x5 w/ Cut Out. As of the time of this review, this piece is exclusive to the 2016 Beetle set and was introduced in order to achieve the curvature necessary near the wheels of the Beetle's design. This new curved piece is integral to the overall design and visual of the model. 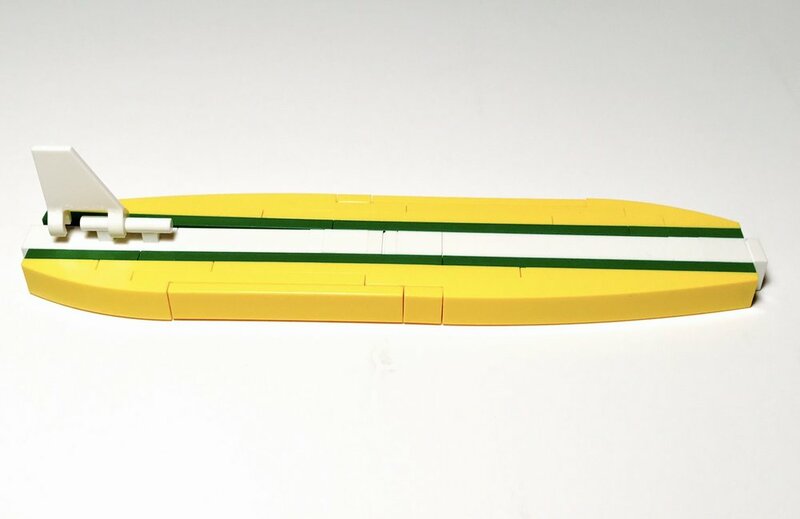 I'm not sure how the LEGO Group would have pulled off such an elegant curve without this new piece, and I'm certainly glad LEGO deemed it necessary to take the extra effort to create such a piece. As always, I'm sure we'll be seeing this new piece in many a moc! Speaking of exclusive pieces, the Volkswagen Beetle does also include an exclusive printed piece - a 1x1 round tile with Volkswagen logo print. 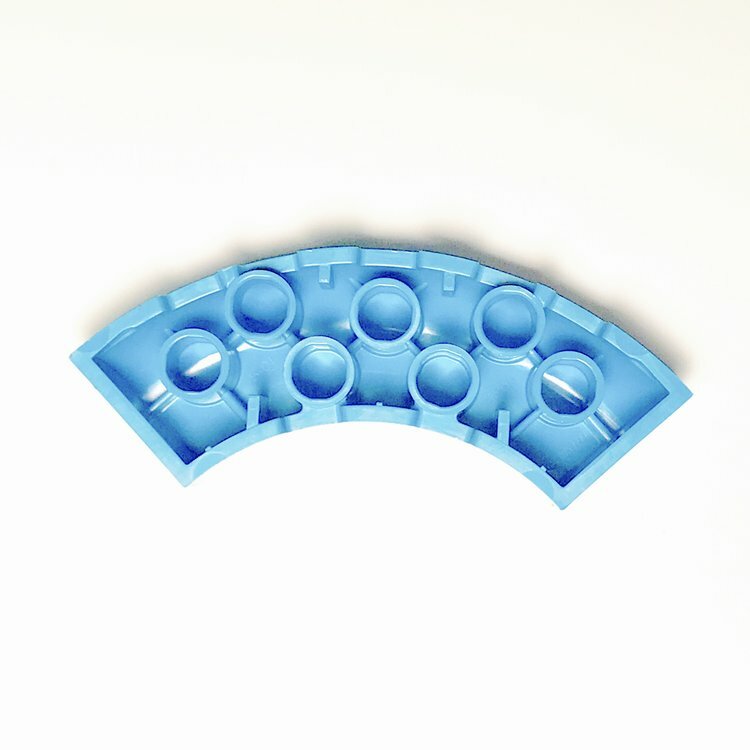 LEGO is generous enough to give you a total of three of these new printed pieces in the set. One is placed on the hood of the car, one can be found under the hood near the spare tire, and one is extra! Now for the opposite of printed pieces - stickers. The stickers included in the Volkswagen Beetle set accomplish exactly what you would hope from any sticker set. They add a lot of visual value to the overall model without detracting from the display value or the build of the set. In fact, stickers are in part responsible for adding some of the curvature [or the illusion of curvature] around the tops of the back windows, and they do so very subtly. The set also includes stickers meant to represent different types of license plates from around the world, There are also enough 1x2 tile pieces included to create each plate making it easy to change them out. Perhaps, the best use of stickers in this set is the bumper stickers used on the back windows of the Beetle and the decal sticker on the side of the included cooler build. These stickers really give the sense that this Beetle is on its way to a California beach for a day of surf, sand, and sun. 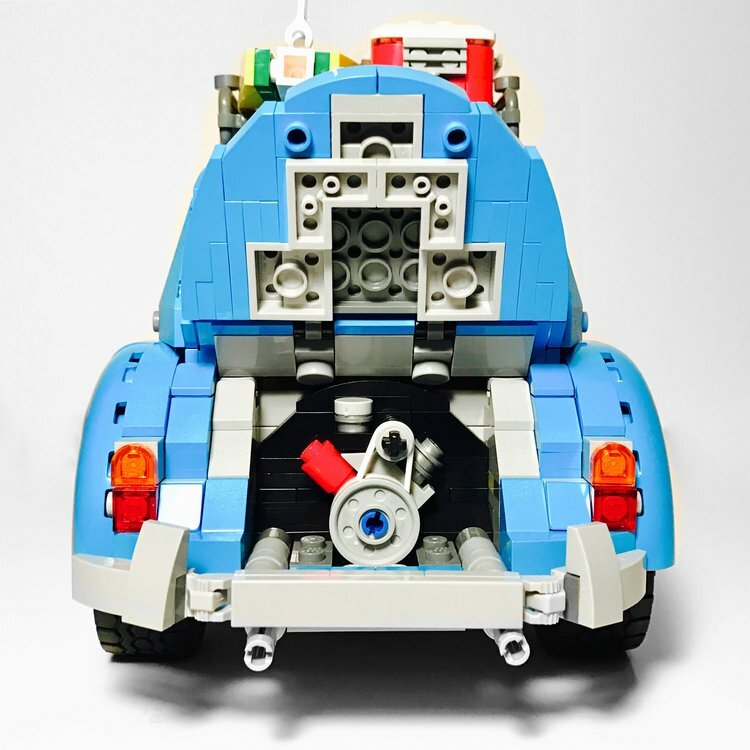 Stickers can typically be a sticky issue for most LEGO fans...hold for laughs...the 2016 Volkswagen Beetle is only enhanced by the stickers included and to really make for a convincing 1960s Beetle. 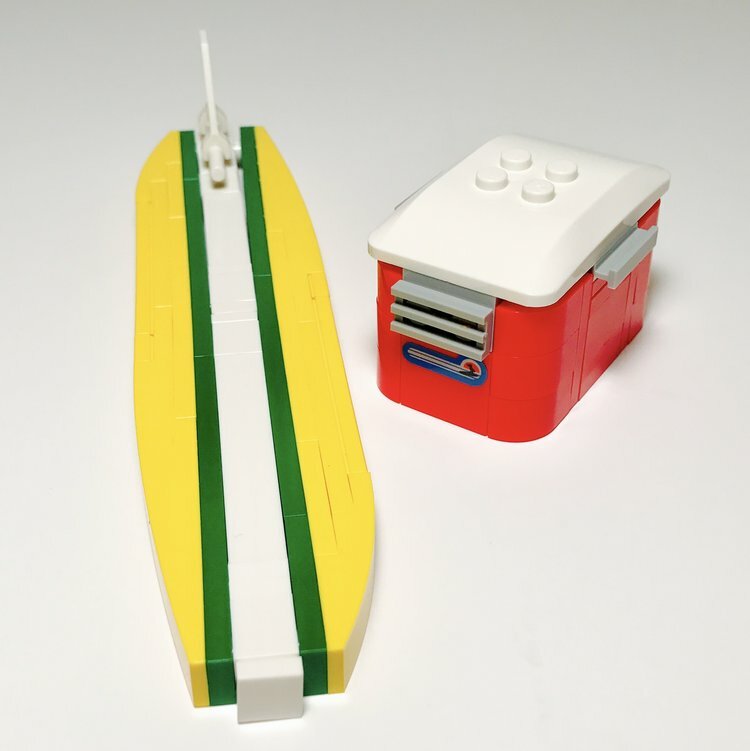 The set also includes a couple of brick-built accessories to turn up the heat even higher on the set's overall beach vibe: a yellow, green, and white surf board and a classic red and white cooler [complete with some goodies inside!]. The Beetle even includes storage rails on top of the vehicle which allows you to comfortably store both the cooler and the surf board on top of the Beetle. One criticism I do have with this set can be seen once you remove the surf board and the cooler from the Beetle's roof rack. 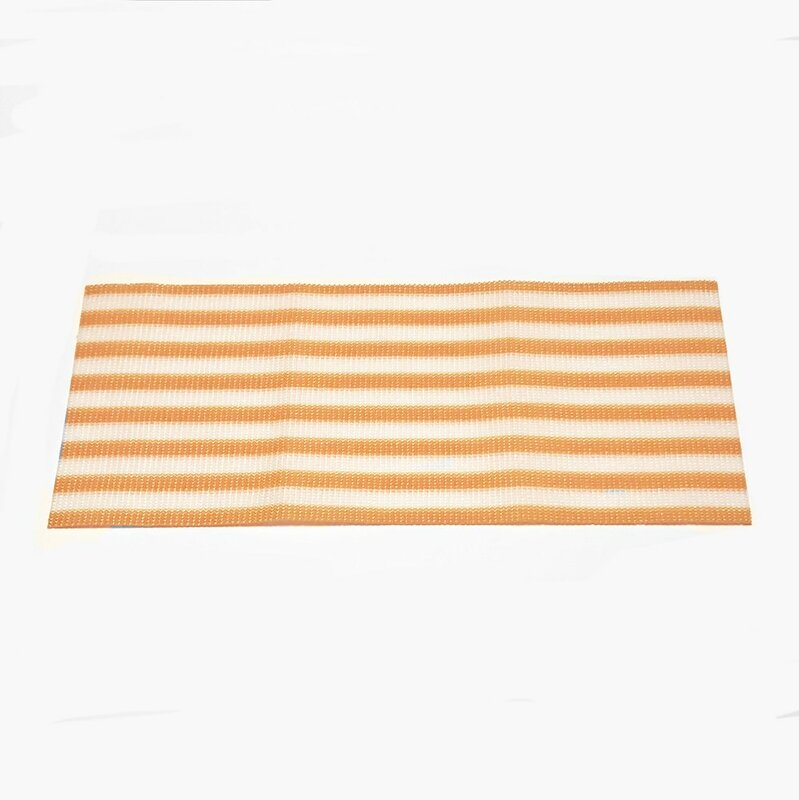 Once these items are removed, a series of reddish brown tiles and jumpers are revealed which are meant to represent the wood panels which were typically part of 1960s Beetle roof rack designs. Although I do enjoy the attention to detail concerning '60s Beetles roof storage designs, I wish the "wood panels" were part of a removable roof rack design. Once removed the Beetle could then be displayed without any roof storage whatsoever. Instead, the "wood panels" are integrated directly into the roof's build and are not removable [unless modified]. 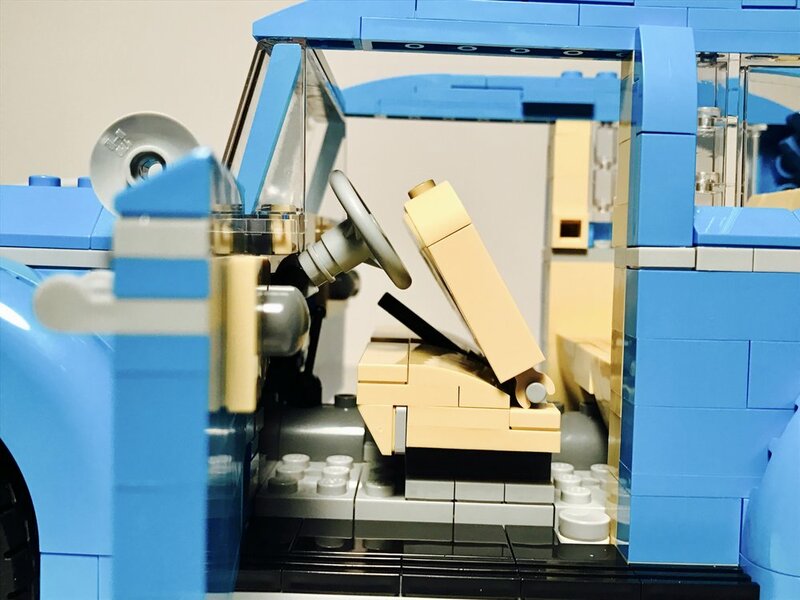 I would love the option to also display the Beetle with a smooth dark azure roof, but LEGO doesn't include this option in the default build. This is a small criticism, as I'm sure most of us will either play with or display the model with the storage racks in place for quick surf and cooler storage, but it would have been nice to be able to remove those reddish brown pieces from the roof. 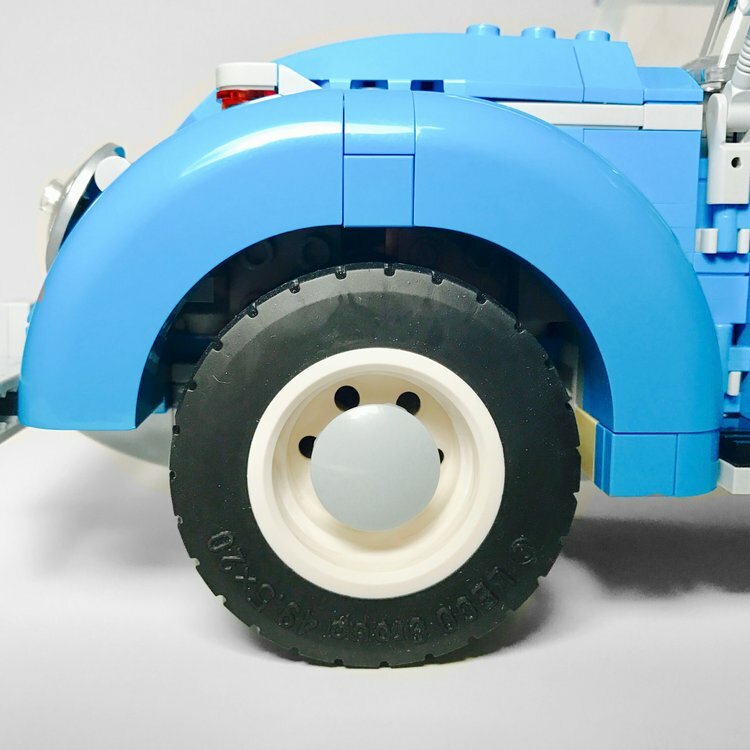 All of the features which you would expect from a LEGO automobile are present with the Volkswagen Beetle set, and the attention to detail with each feature really makes this set a worthy attention to any LEGO collection. For instance, you can't have a Beetle model without the iconic rear-located, air-cooled, four-cylinder boxer engine. The trunk of the model is attached to the Beetle via hinges which allows you to lift the trunk and reveal the car's famous engine. The hood of the Beetle is also attached via hinges in order to allow the hood build to open and reveal a spare tile and yet another of the exclusive 1x1 round tile with Volkswagen logo print. In order to access the interior of the model [and to allow for more light for bloggers' photos, right?] the doors of the Beetle open and the entire roof of the Beetle is a separate build which allows you to simply remove the roof entirely as one piece. The interior of the model includes a driver seat, passenger seat, steering wheel, speedometer, emergency brake, gear shift, and a spacious back seat. The backs of all the seating areas are one-piece builds and hinged to the model which allow the seats to move forward. 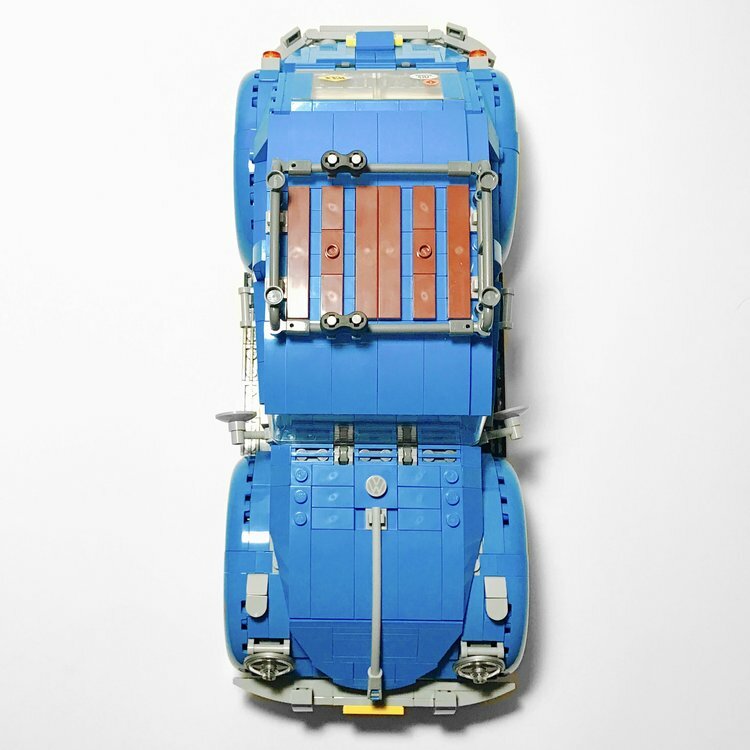 The driver and passenger seats are capable of moving forward in order to allow access to the back seat, and the entire back seat is capable of moving forward in order to reveal a storage area in which you can store your LEGO beach towel [1 of which LEGO includes in the set]. 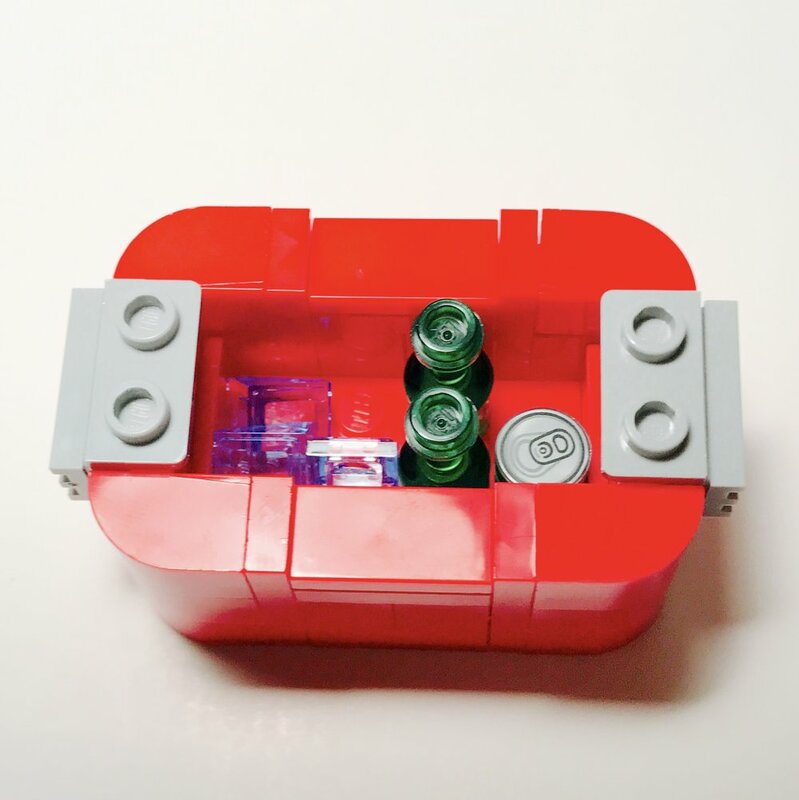 The LEGO designer did a great job with the interior of the model. When you lean in close to the model and peer into the interior it's almost as if you can smell the 1960s interior. In fact, I fully expect to pull back the driver's seat one day and find a half-eaten container of McDonald's french fries back there [you'll know it'll happen eventually]. The speedometer is achieved via a frequently-used 1x1 round tile print.